We all know that labeling, packaging etc. are very important to the finished product. Not to mention the name you choose to represent your business so I knew I had a few decisions to make. It seemed very clear from the start that within my business I seemed to have developed two different personas. One where my pieces are more art and for home decor and also much higher price points and the second where I have fun creating accessories at lower price points. The first seems to have a market in the galleries that I supply and the second at craft shows where people seem to buy at impulse. So it seems I've developed two sepereate lines that each have their own market. 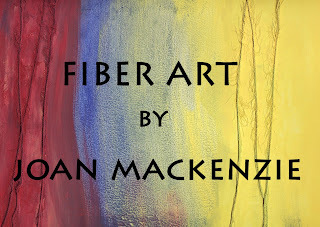 After some good advice I decided that I would work under the name Fiber Art by Joan MacKenzie. The best thing about this name is I can follow my whims where ever they take me and the name still works. 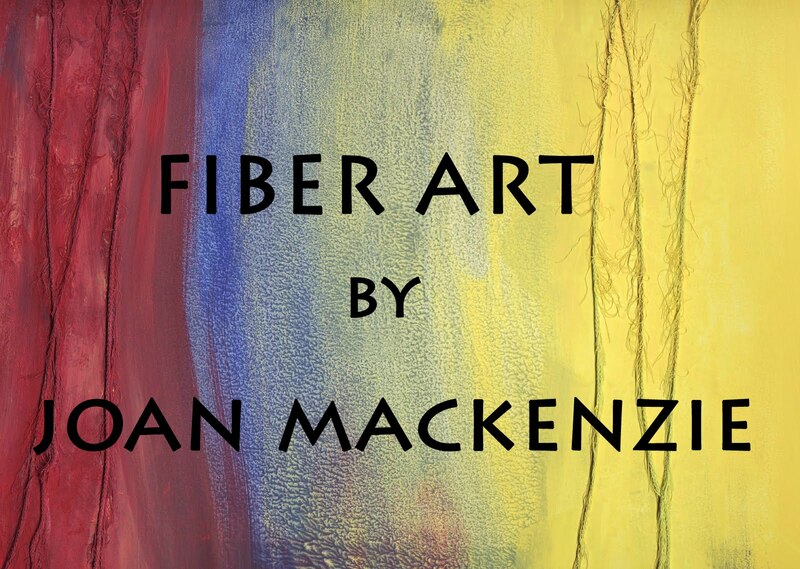 Here is an example of the artwork I've chosen for business cards and all my labeling. I've purchased product through Vistaprint. great prices but be prepared for many email offers flooding in. Also Moo, beautiful product and I love their mini moo cards. they're great for hang tags. Good for a first go but I need to go back and add my bog address and my Etsy shop. That brings me to the name Needleit. I've been a member of Etsy for awhile and when I joined it was under the name Needleit. Now for some reason they don't make it possible to change your name as other sites do so for now that stands and so I thought I'd use the same name for my blog . My Etsy shop is currently empty as I've sold the items through craft shows and I'm busy now with orders for a few gallery shops. I have plans just not the time. But stay tuned, when I post product I'll post the link. Best wishes in your new business ventures! By the way I love your work, it always makes me smile.